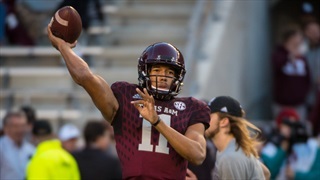 This year's NFL draft has potential to be a record one for both the Aggies and the SEC. 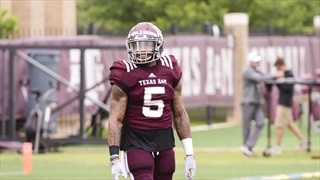 As many as eleven Texas A&M players will be listening for their name throughout the draft, and several are looking to be early round selections. 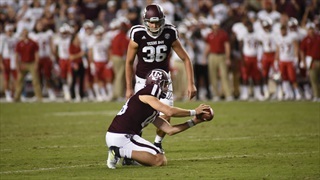 During Tuesday's edition of TexAgs Radio John Harris of FootballTakeover.com and the Houston Texans joined to share his prediction for each of the 11 draft-eligible Aggies for the upcoming NFL Draft. 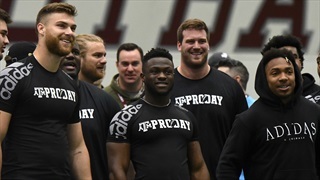 Another A&M Pro Day came and went on Tuesday with 17 Aggies testing in front of over 50 NFL scouts. 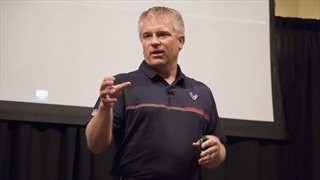 Billy Liucci offers his observations, thoughts and information he gleaned from NFL scouts and coaches that were on hand. 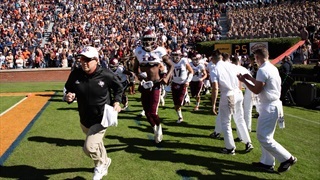 The Aggies suffered a 28-24 loss at Auburn that included another painful 4th quarter showing. Billy Liucci analyzes the loss and what it means for a now 5-4 Aggie team as they return to Kyle Field. The Aggies lost a tough game on the road at Mississippi State and they know that lack of execution played a large role. Fisher and some of the players met with the media to react to the defeat and look ahead to their final road game of the season at Auburn. No. 22 Texas A&M will look to follow up last week's OT win over Kentucky as they take on South Carolina on Saturday. Billy Liucci highlights the matchups to watch as the Aggies attempt to down the Gamecocks for the fifth straight time. 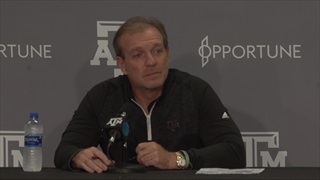 While the Aggies didn't play a perfect game against ULM, Coach Fisher was pleased with the effort his guys gave Saturday night and their "Next play" mentality that is a driving force behind the culture change at Texas A&M. 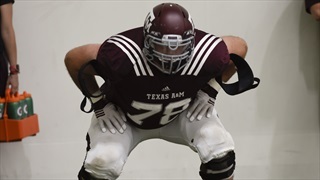 After dominating the Demons in the trenches to open the season, the Aggie OL sets its sights on the #2 Clemson Tigers, a team that brings an NFL caliber D-Line into College Station for a prime time fight Saturday night. 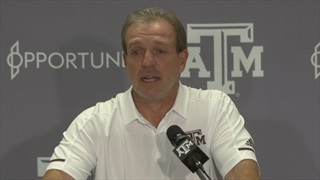 After last Thursday's 59-7 thrashing of Northwestern State, head coach Jimbo Fisher and several Aggie players met with the media to reflect on game one and look ahead to Saturday's game against the visiting Clemson Tigers. Aggie Keaton Sutherland has worn a lot of hats along the offensive line and is settling into his role at guard under Jimbo Fisher. 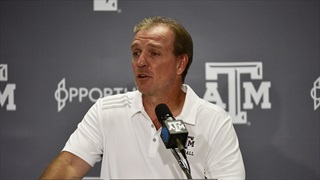 More importantly, the new Aggie coaching staff is helping him become a physical force at the position. 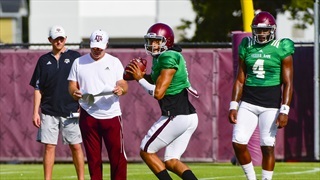 Texas A&M has plenty of pieces to work with on the offensive side of the ball, but putting them all in their place and making the offense run like a well-oiled machine could take some time. 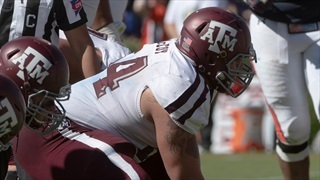 Billy Liucci dissects the Aggie O.
Keaton Sutherland has spent most of his A&M career being shuffled around the offensive line, but his size and talent give him immense potential to succeed the new Aggie offense. He comes in at No. 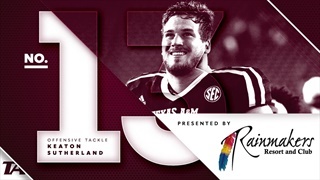 13 in our countdown of Texas A&M's best players. 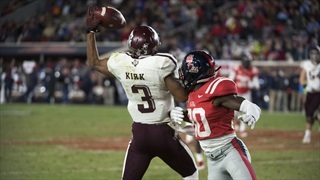 The Aggies matched the Rebels early in what looked like an imminent shootout, but the offense soon hit the skids, managing just three points in the second half. There were some obvious bright spots, but some familiar struggles also loomed large despite the win. 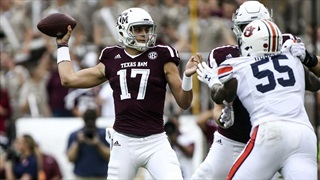 Nick Starkel took over at quarterback in the second quarter and provided a spark for the Aggies, but the stout Auburn defense proved too much on Saturday. Billy Liucci breaks down the state of the A&M offense in the wake of the loss. Texas A&M will enter Kyle Field on Saturday as a decided underdog to the Auburn Tigers, who boast one of the SEC's best defenses. 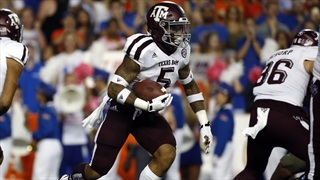 Billy Liucci breaks down the matchups that will determine if the Aggies can pull the upset. Kevin Sumlin ran the gamut of Aggie football questions on Tuesday but emphasized a key factor in Texas A&M's post-bye week preparation: rest. 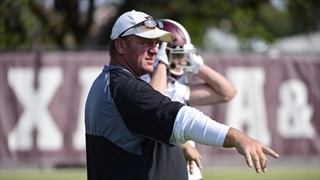 The Ags are rejuvenated and healthy heading into an important battle with Mississippi State. 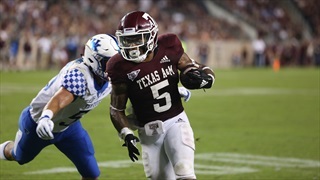 The Texas A&M offense struggled mightily in the first half against Florida but made adjustments at halftime and produced just enough to pull out a win. 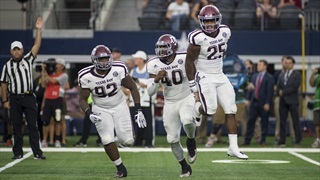 Billy Liucci looks at the good and bad from the Aggies' performance. Texas A&M looks to stop the trend of late season slides post-Alabama on Saturday night as they head to The Swamp to take on Florida. 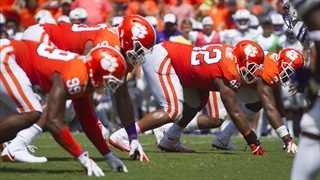 Billy Liucci looks at the key matchups where the Aggies must win to come out with a victory.